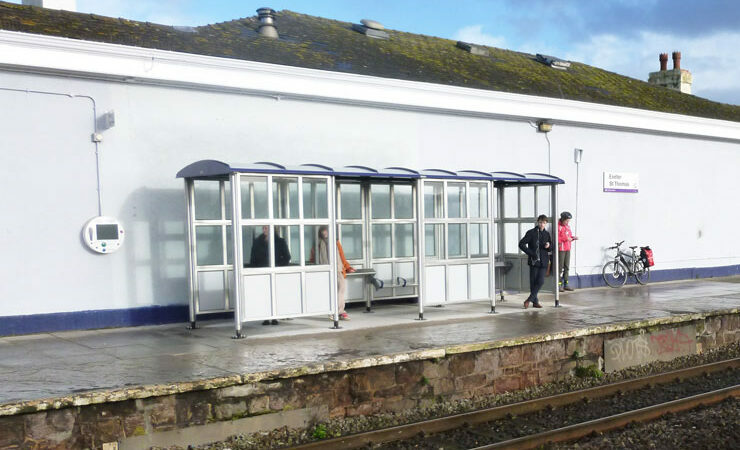 New waiting shelters have recently been installed at Exeter St Thomas (above) and Torre stations as part of Citizens’ Rail’s work to enhance The Riviera Line in Devon. The shelters mark a big improvement at both stations. They offer passengers better facilities and an improved sense of personal safety compared with having to wait in the old, dark and window-less ones that have now been demolished. 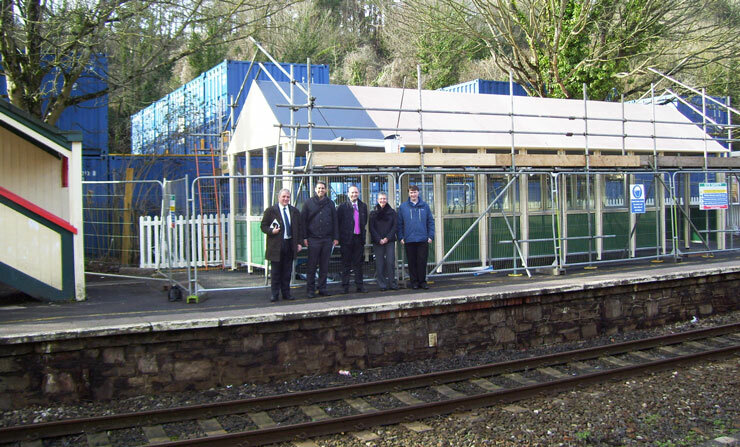 The Devon & Cornwall Rail Partnership, Torbay Council and First Great Western visit the Torre shelter as it nears completion. What’s more, both stations will continue to be improved over the course of 2015, including with more greenery, art projects and further improvements to facilities. If you would like to take part in the project at Exeter St Thomas, you may be interested in the recently formed Friends of Exeter St Thomas group formed as part of Citizens’ Rail.